The PIAA announced the sites for its first round basketball tournament games on Sunday, and a half-dozen of them are being played in the heart of Blair County. At least 16 opening-round games involving teams from the Altoona Mirror coverage area will be played on Friday and Saturday. There could be a 17th if the Northern Bedford boys win a Class 2A play-in game at Muncy on Tuesday evening. 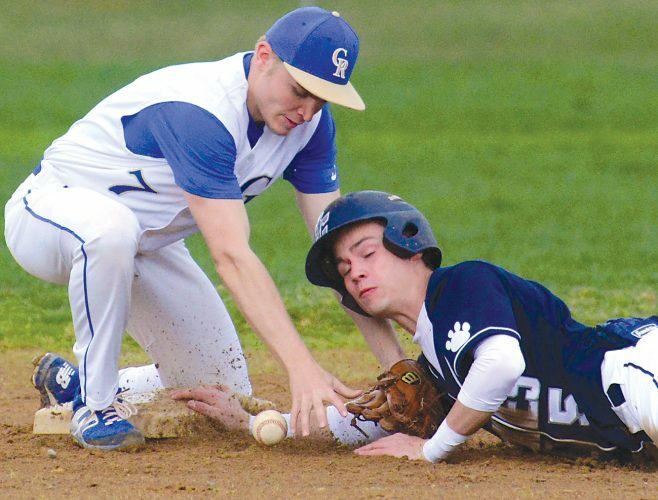 Four of those contests will be held at the Hollidaysburg Area Senior High School in doubleheaders each day. On Friday, the Altoona girls will face Cedar Cliff in a Class 6A game at 6 p.m., followed by Williamsburg meeting Southern Fulton in a Class 1A boys tilt at 7:30. Saturday’s twinbill at Hollidaysburg begins with a 1A girls game pitting Juniata Valley against Shanksville-Stonycreek at 4 p.m. and wraps up with Central facing Beaver Falls in Class 4A boys at 5:30. The Altoona Fieldhouse also is hosting a pair of contests on Saturday. The Tyrone girls open by taking on East Allegheny in Class 3A at 4 p.m. Bishop Guilfoyle meets up with McConnellsburg in Class 2A boys at 5:30. The only other game being played in Blair County is a single game slated for Tyrone Area High School on Friday night at 7 p.m. Bellwood-Antis and Northern Bedford square off in Class 2A girls in the only first-round matchup pitting a pair of Mirror-area teams against each other. On Saturday, the Bishop Carroll girls will be in action at 4 p.m. at Central Cambria High School in a 1A game against Allegheny-Clarion Valley. The only other Mirror-area team playing at a District 6 site in the first round is the Central Cambria boys’ Class 3A game with Columbia. That will be played at Richland High School at 7:30 p.m. on Friday. Other area teams in action on Friday night are the Bishop Guilfoyle girls (Class 2A vs. Kane at DuBois Area Middle School at 6 p.m.), the Bellwood-Antis boys (Class 2A vs. Cardinal Wuerl North Catholic at Gateway at 7:30 p.m.) and the Juniata Valley boys (Class 1A vs. Imani Christian at Northgate at 7:30 p.m.). Other teams from the area with Saturday games are the Central girls (Class 3A vs. Carlynton at Cardinal Wuerl High School at 4:30 p.m.), the Williamsburg girls (Class 1A vs. Kennedy Catholic at Sharon High School at 3 p.m.), the Central Cambria girls (Class 3A vs. Bishop Canevin at Northgate at 3 p.m.) and the Everett girls (Class 3A vs. Neshannock at Butler High School at 4:30 p.m.). If the Northern Bedford boys win on Tuesday, the Panthers will travel to Central Dauphin East to play Halifax in a 6:30 p.m. game on Saturday.